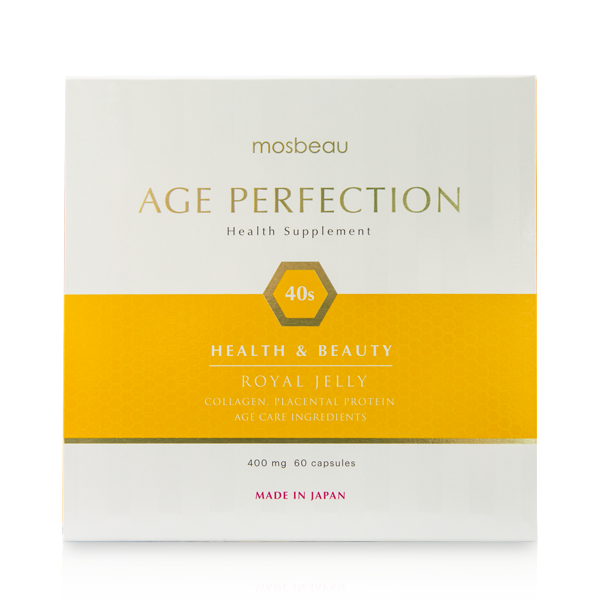 Mosbeau Age Perfection 40s! 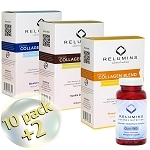 The ultimate food supplement with excellent benefits for health & beauty! 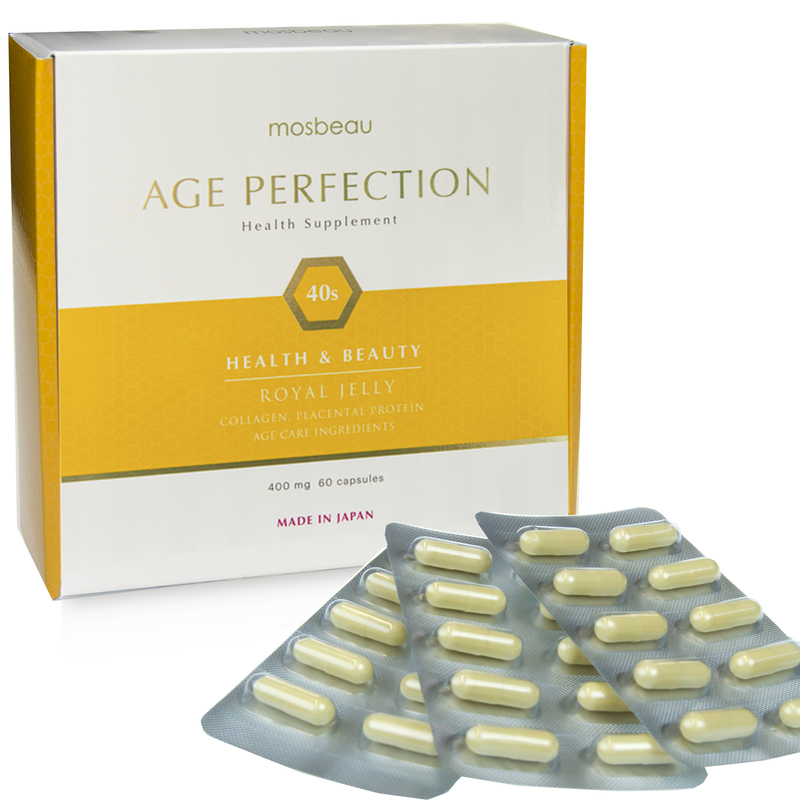 Home > Anti-Aging/Younger Skin > Collagen/Anti-Aging Supplements > Mosbeau Age Perfection 40s! Get powerful nutrients to help cope with the unwanted effects of aging! Continue to Look beautiful in your 40s! Help show that natural beauty and slow down signs of aging. This product is formulated to fight aging, improve health, & promote glowing skin!!! 623 points will be rewarded to you when you buy this item. Benefits of Mosbeau Age Perfection 40s! Get powerful nutrients to help cope with the unwanted effects of aging! 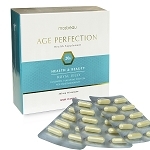 AGE PERFECTION 40s provides a complete combination of nutrients that better suits your age group. 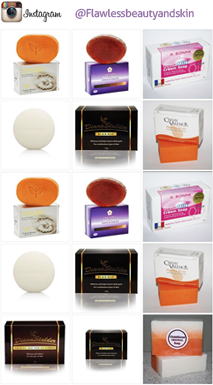 The primary component, Royal Jelly is a rare & valuable ingredient with excellent benefits for the skin & body. 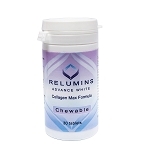 The specifically designed formula also contains Collagen which helps maintain your natural beauty & liveliness. 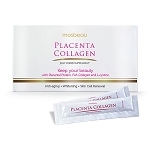 Another key ingredient, Placental Protein, which whitens & fights skin aging. Plus, it’s loaded with other age-appropriate ingredients expertly combined to answer all the needs for women in their 40s. 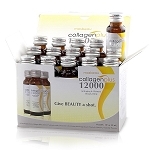 Vitamin C - Helps in the collagen synthesis to keep the skin stay healthy. It is a multifunctional ingredient that promotes whitening, anti-aging, skin protection against inflammation and infection, and skin cell revitalizing. Glycine - One of the key amino acids used to form collagen. It is also essential for many different muscle, cognitive, and metabolic functions. L-Cystine - One of the most advanced anti-aging and skin whitening ingredient. It aids in erasing dark spots, blemishes, and wrinkles. It prevents the production of free radicals, helps in boosting anti-oxidants, and aids in natural detoxification. Carrot Extract - An ingredient high in vitamins A and E and beta carotene. It brings balanced moisture in both skin and hair. Acerola Extract - A rich source of Vitamin C. Used as an anti-aging ingredient that rids the body off toxins. Elastin - A natural protein that keeps the skin smooth, supple, and elastic as a person’s body age over time. Hyaluronic Acid - It boosts the skin's moisture, aids in tissue repair and holds together the skin's structural components (collagen and elastin) to effectively reduce fine lines, wrinkles and other signs of aging. Take 2 capsules a day, preferably at night. Consult physician before intake if pregnant, lactating, or under medication.